High quality crank extractor with thread size M26x1 mm with with ball end is designed for rotoped axle type. 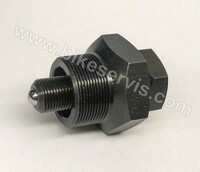 For installing / removing to crank arms use wrench 22 mm / 32 mm. Blackening surface.